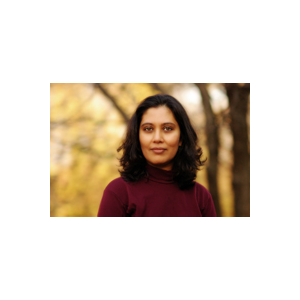 Anupama Rao, Associate Professor, History, Barnard College, is the author of The Caste Question: Dalits and the Politics of Modern India (U California Press, 2009), and numerous essays on colonialism and humanitarianism, and on non-Western histories of gender and sexuality. She has been a Fellow-in-Residence at the National Humanities Center; at the Center for Advanced Study in the Behavioral Sciences (Stanford); and at REWORK (Humboldt University, Berlin). Rao is co-convenor of “Subaltern Urbanism,” which is supported by Columbia’s Center for the Study of Social Difference, and was supported by a faculty grant from the Heyman Center for the Humanities. From 2014 to 2015, she was co-convenor of the project Asian Spatialities, supported by the Mellon Foundation and the International Institute of Asian Studies (Leiden). Rao is currently working on a book on the political thought of B. R. Ambedkar; and on a project titled Dalit Bombay, which explores the relationship between caste, political culture, and everyday life in colonial and postcolonial Bombay. Rao is currently Senior Editor, Comparative Studies in South Asia, Africa, and the Middle East, and Associate Director, Institute for Comparative Literature and Society.